Here's a Margo short story that I debuted at last year's Halloween event. It's now available to everyone on Cloudup, so here's the link. Enjoy! 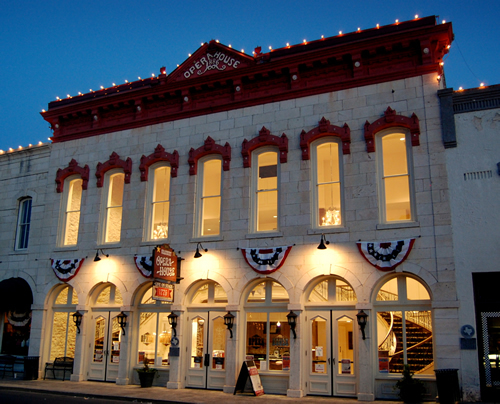 Granbury, Texas is a historic town about 35 miles southwest of Fort Worth. Not only is it the home of the Granbury Ghosts and Legends Tour, but for the past few years they’ve been hosting the Granbury Paranormal Expo. I will be there with fellow Ghost Scribes Ann Fields and Zander Marks, along with a whole boatload of other cool vendors and speakers. There’s something at the Expo for everybody, whether you’re new to the paranormal or have been chasing ghosts all your life. Tickets are $7 for a single day or $10 for the whole weekend. This is a great opportunity for fans of the paranormal, to commune with like-minded people. Granbury is worth a trip, by the way. In case you’re from another planet, Granbury is famous in these parts for the Opera House, home of the Granbury Theater Company. The theater, which was built in 1886, is recently restored. You could take in their performance of “To Kill a Mockingbird” that weekend, then join a ghost tour that night. Plus, Granbury has the cutest little downtown you ever saw. The Ghost Scribes will be there all weekend, so please stop by and see us! The good news is that a new Margo Monroe mystery will be coming to a Kindle near you very soon! This one, tentatively titled "Ghost in the Machine", is a bit of a departure from recent Margo stories. Too long to be a short story but too short to be a whole book by itself, it's technically a novella. But don't worry, it has all the fun-filled, action-packed ghostly adventure you've comes to expect from Margo and Ernie. In the meantime, check out this excellent article on why novellas are the future of publishing. In case you missed the great Ghost Scribes Halloween bash on October 30, here are some highlights.